The rattling trumpet call of sandhill cranes echoed throughout the Rio Grande Valley in central New Mexico this February. The flocks began to make their ascent into the sky, circling to gain altitude and then heading north. The cranes’ early departure — driven by climate change — reveals one of the many challenges of adapting to the reality of this new climate. Flows in the Rio Grande are predicted to decrease by 25 percent in Colorado, 35 percent in the Middle Rio Grande in New Mexico, and 50 percent in southern New Mexico, Texas and Mexico. This gross inequity in distributing the impacts of climate change on stream flows is largely due to an archaic agreement called the Rio Grande Compact, which divided the river’s water among Colorado, New Mexico and Texas in 1938. As climate change decreases flows in the Basin, the compact causes three major problems. 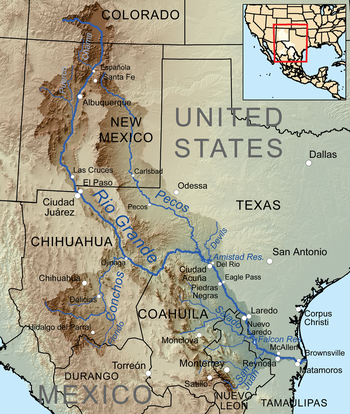 The Rio Grande and its tributaries. First: The 70-year-old agreement is based on an extremely wet period that is not representative of the dry conditions predicted for the Basin. Second: The agreement allows the state of Colorado to divert much more of the river during low-flow periods. In the extremely dry year of 2013, for example, Colorado diverted 98 percent of the spring flows for irrigation at the expense of the river and other water users downstream. And third: The agreement, as well as state policies of water distribution, disregards any need for flows in the river itself to support the ecology, recreational economy, and quality of life for the people who live in the Rio Grande Basin. To right the wrongs of the past century and to ensure that the 1,896-mile-long Rio Grande does not end up bone-dry, it is time to place a moratorium on water use and development in the Rio Grande Basin. A moratorium on further development would allow the Interior Department to undertake a comprehensive analysis to determine the flows and environmental restoration required to support a healthy river from its headwaters in Colorado to the Gulf of Mexico. 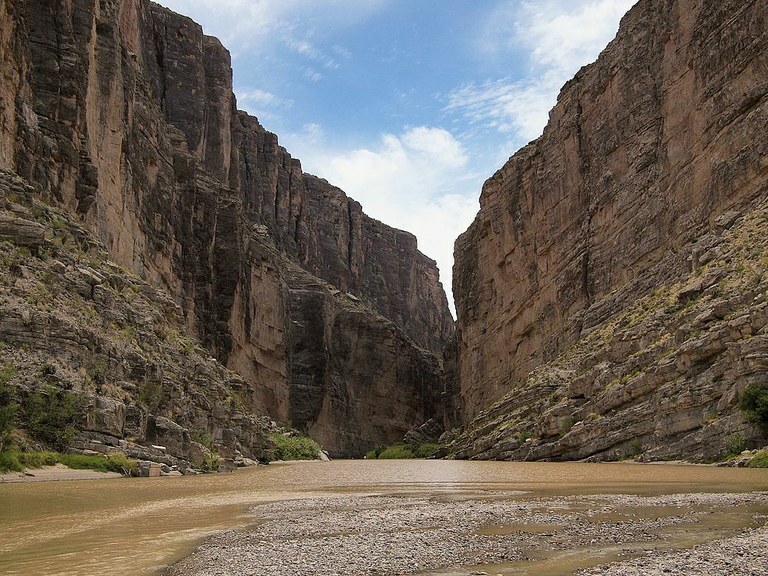 The Rio Grande runs through Santa Elena Canyon, in Big Bend National Park Texas. The analysis completed during the moratorium would also help determine how much water must be reallocated to the river from existing uses, such as agriculture, to give the river itself a fighting chance at survival. This would not be the first time the Interior Department temporarily stopped the expansion of water use in the Basin to consider a different path forward. In 1896, the secretary of the Interior placed a moratorium on water development in Colorado and New Mexico. The purpose of the pause was to ensure that expanding irrigation in Colorado’s San Luis Valley and New Mexico’s Middle Rio Grande Valley would not harm an agreement that ensured continued water deliveries to Mexico. Another moratorium is long overdue. We desperately need leadership from Interior to force the states to rethink our rivers. An ongoing lawsuit by Texas against New Mexico is just a sample of the fights to come in the face of increasingly scarce water supplies. Legal battles to save native river species from extinction will also greatly change water use as we know it. To be sure, stopping all water development in the Rio Grande Basin is a drastic measure, and it would have serious consequences for those looking to siphon more from the river. But unless we develop a plan to reallocate water back to this and other Western rivers, our options to counteract climate change will dry up, along with our rivers. Jen Pelz is a contributor to Writers on the Range, an opinion service of High Country News. 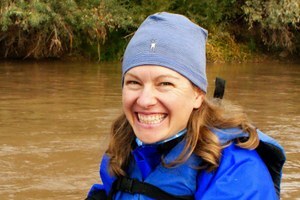 She is a lawyer and director of the Wild Rivers Program for WildEarth Guardians in New Mexico.